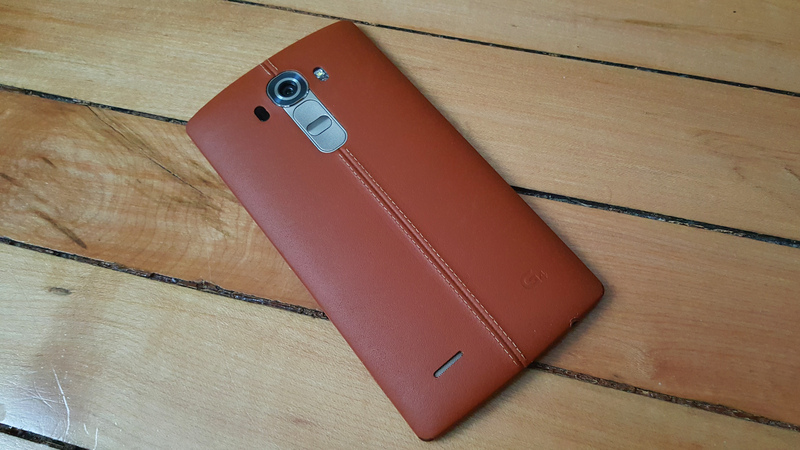 The LG G4 launched at around $600 on T-Mobile last year, and now it's nearly half the price after T-Mobile's latest change. With the LG G5 coming up soon the carrier is probably looking to clear stock, and you can get the G4 for a mere $349.99 right now. The G4 on T-Mobile recently got an update to Android 6.0 and it has full support for the carrier's advanced network technologies like band 12 LTE and VoLTE. The battery is removable, there's a microSD card slot, and the screen is still pretty nice by today's standards. It's not a bad deal for $350. You can pay full price for the phone and get it unlocked by T-Mobile. 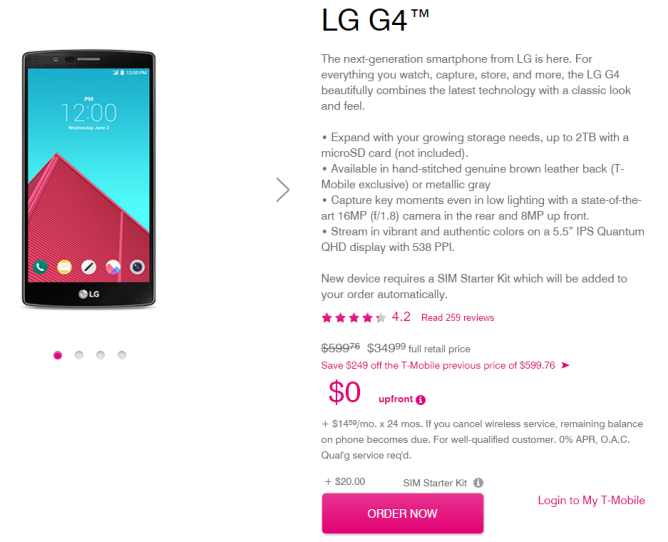 Alternatively, the G4 can be had for $14.59 per month for 24 months.